Ayurvedic medicine is one of the world’s oldest medical systems. It has been practiced in India for thousands of years and is deeply rooted in spiritual ideology. Some Ayurveda practitioners believe that it has applications in the treatment of diabetes, but research into the effects of Ayurvedic medicine on people with diabetes is mostly inconclusive. Ayerveda should not be used to replace conventional care or your existing treatment plan. You should consult your healthcare provider before taking Ayurvedic medicine. 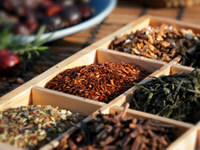 Ayurveda promotes the use of compounds, special diets and other unique health practices not widely studied as part of conventional Western medicine. Treatment is directed towards establishing and maintaining an internal balance in the body, rather than singling out individual symptoms for treatment. How can Ayurveda treat diabetes? In Ayurveda, diabetes is recognised for its multifactoral nature. These include the differences between type 1 diabetes and type 2 diabetes. Ayurvedic theory notes that type 2 diabetes develops from an excess of the Kapha dosha and treatment is largely steered towards diet modification. Some Avurvedic practitioners will look to treat diabetes with a cleansing program known as panchakarma. The treatment intends to help regulate blood sugar levels, but there isn’t sufficient evidence to confirm this. Panchakarma includes massages, herbal therapy, saunas and fasting. This will sometimes be followed by a herbal purge and yoga and breathing exercises. Herbs and a strict diet make up the basis of the treatment. Yoga therapy is another part of the Panchakarma treatment system, and is common throughout the UK.